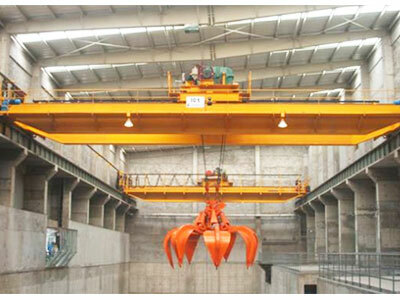 QZ type double girder grab bucket crane is a more powerful lifting device than its single girder counterpart since it is able to handle heavier loads up to 20 ton. 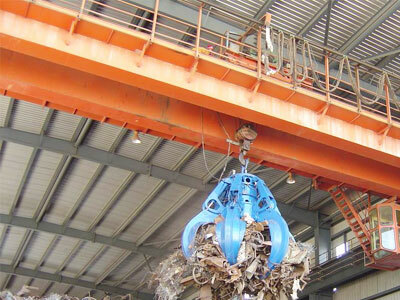 The crane with grab bucket is perfect for lifting and moving loose and bulk materials like coal, ore, sand and soil, extensively applied in steel mill, garbage disposal plant and power plant. 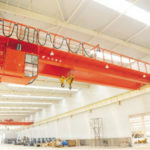 The grab bucket overhead crane can also realize a greater lifting and traveling speed, higher efficiency and work duty than single girder grab crane, thus it is ideal for heavy duty and severe service. 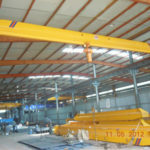 Regarding special working environments or crane parameters, the grab overhead crane can be custom designed and built. 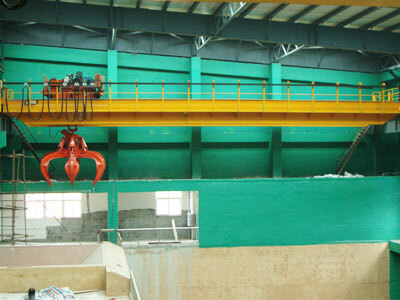 Equipped with grab bucket, the double girder overhead crane is suitable for bulk material handling in waste recycling station, power station, storage yard, steel mill workshop, mine and cement plant. It is designed for heavy duty work, which has a higher requirement regarding heat, dust or other severe working environments. 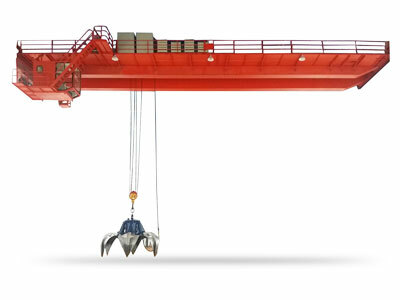 Grab bucket cranes are able to deal with severe working environments. Optimal design brings about reliable and durable performance. Safety tools like overload limiter, emergency stop and low voltage protection increase lifting safety. Commodious cabin provides wide view and convenient operation. 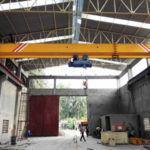 The grab crane system has easy installation and maintenance. 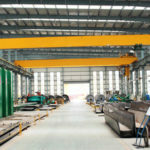 Grab crane parts consist of main beam, end beam, hoist trolley, cabin and electrical device, which will be configured for your individual requirements. The main beam adopts welded box structure with high degree of rigidity. It has light deal weight and small wheel pressure. The end beam is equipped with soft-start motor that provides a more stable starting. These two main parts are connected by high tensile bolts which is convenient for transportation and assembly. Hoist trolley is typically outfitted with electric hoist for more efficient lifting movement. The hoisting mechanism and trolley work together to make the loads moved vertically as well as horizontally along bridge girder. Electrical system is sourced from reputable and famous brands worldwide such as Schneider and Siemens. With regard to control system, there are remote control and cabin control for your choice. Depending on the rated load and environmental condition, each control system has its own advantages and disadvantages. 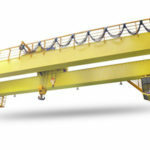 We aim to help you design the most suitable and powerful lifting solution so as to prolong the crane working life as well as facilitate productivity within your plants. 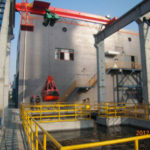 The grabbing mechanism of bucket crane is the unit to perform lifting and grabbing work, generally equipped with four-rope grab and double drum. Regarding the grab bucket design, there are two main styles for you to choose from, orange grab for handling metal scrap and clamshell grab bucket that is used for grabbing grain, sand and soil. The grab opening can be in a direction that is either parallel or vertical to overhead crane main beam. The grab bridge crane is only suitable for handling granular or bulk materials that are under natural state. When grabbing underwater materials or other special items, it shall be specifically mentioned in the order process. According to power source, the grab bucket can be classified into electric grab and hydraulic grab bucket. 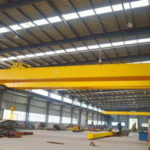 As a leading and experienced grab crane manufacturer and supplier in China, we provide a full spectrum of service for clients, including overhead crane design, manufacturing, commissioning, delivery, installation and maintenance. 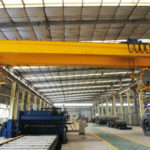 Reasonable grab crane price, good quality and reliable service are all we can do for you. 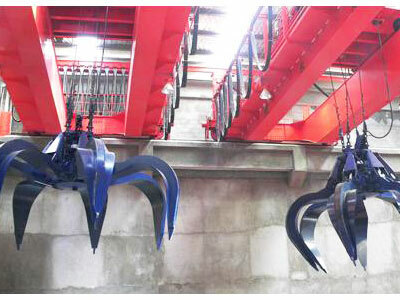 Interested in grab bucket crane? contact the sales manager online now!